Our first-ever adjustable hybrid allows you to customize your ball flight eight different ways through more loft (+- 1.5˚) and lie combinations for consistently better results. 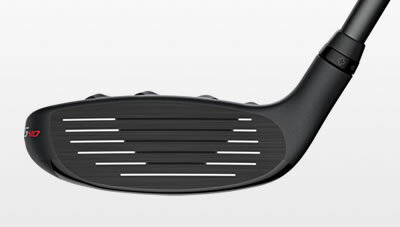 Thinner and more flexible, the maraging-steel face generates faster ball speeds and higher launch so you carry trouble while hitting (and holding) more greens. A larger profile provides added stability and helps elevate MOI heel to toe. 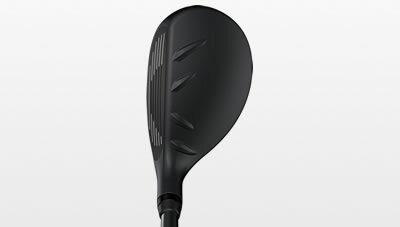 A larger head provides added stability and helps elevate MOI 6.5%. 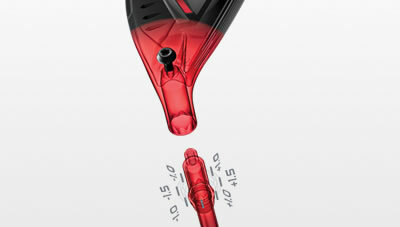 The shaping can help you align the face confidently at your target, and the re-shaped crown turbulators frame the ball. Trajectory Tuning 2.0 utilizes a patented, lightweight aerodynamic hosel sleeve that you adjust to influence ball flight while ensuring proper gapping. Eight positions enable you to fine-tune trajectories through loft (±1.5°) and lie adjustments, including up to 3° flatter than standard. A deeper, high-density tungsten back weight creates extreme perimeter weighting to maximize forgiveness in the larger-profile head. The strength and flexibility of a thin, maraging-steel face attached to the 17-4 stainless steel head increases ball speed for added distance. 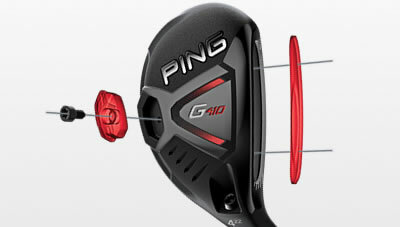 The face is textured to reduce spin, and the painted grooves help frame the ball at address.